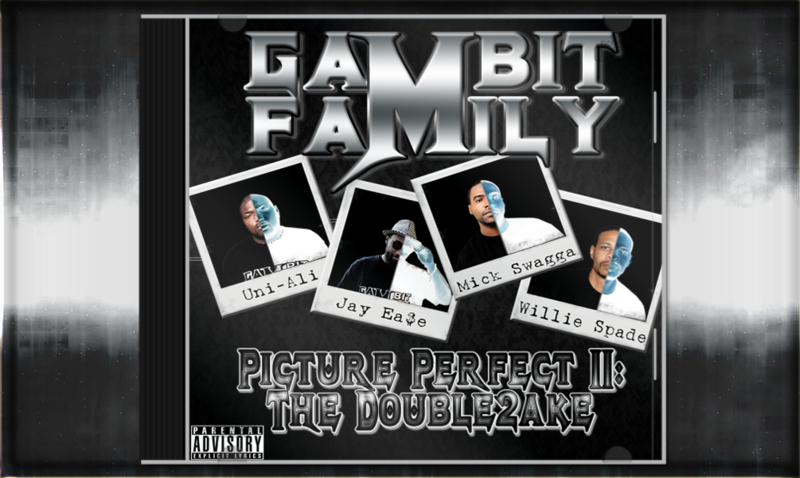 Picture Perfect II: The Double2ake is the sophomore release by the group and the second installment in the Picture Perfect Trilogy. Originally planned to be a double album, the idea was scrapped for monetary purposes and to not flood the fan base too early with too much material. Double2ake and the final album of the trilogy “Picture Perfect: 3D” were recorded simultaneously with the more mature music being saved for the final installment. During the recording PrinZe made his departure from the group and joined the Army, he was replaced by Uni-Ali who had become a free agent at the time. Uni was tasked to write 33 verses for songs and completed the task within 6 weeks, while maintaining a night shift and being a family man. Not only did he deliver verses at a rapid pace, the content with which he presented with of top quality and maintains some of the best verses on the project. This album also was intended for a commercial release on iTunes but after a pay dispute those ideas were scrapped and it was decided that the album be released free to the fan base. The original release was hosted by TaylrMayd but the results of the mix tape were met by so many negative reviews by fans it was re-released as an album. The core fan base consider Picture Perfect II: Double2ake to be the “Magnus opus” or best work of the group to date. Posted by Adminstrator in Group on February 13th, 2014. This post has Comments Off on Picture Perfect II: Double2ake.